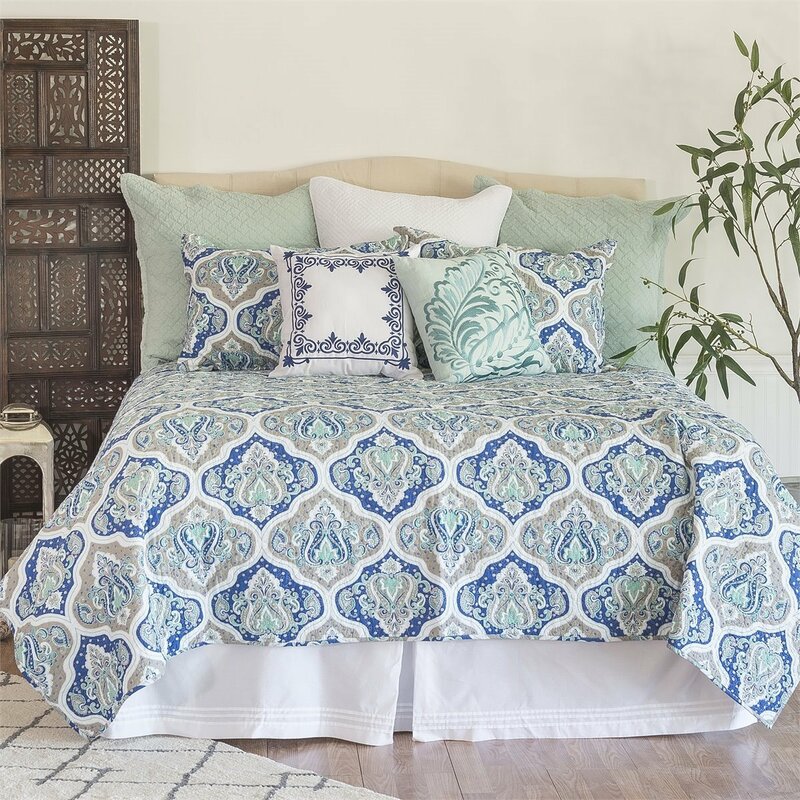 The Renee Full Queen 3 Piece Quilt Set has an intricate design inspired by exotic tile patterns. The quilt is done in blue, aqua, grey, and white. Self binding trim at edges. Set includes one full queen quilt, 90"W x 92"L and two standard shams 20" x 26". Fits full and queen size mattresses. Cotton blend. We offer the complete ensemble in the Renee pattern by C & F. Manufacturer's UPC code is 008246509882.